I am OFSTED Reqistered childminder and a mum of three children. I live in a large detached house in Crownhill with my husband and 3 children. I have a dedicated playroom which is well-stocked with toys to suit all ages and interests.There are lots of places where we can visit close to my home and I love being outdoors with kids. Also do some other indoor activities. I provide children with nutritious healthy meals, snacks, fruits and vegetables. Apart from looking after my own, i am also good with children of all ages and being a parent myself has equipped me adequately.I love working with children as it is a very exciting role and I just want to make them feel safe and happy when they are with me and parents to have peace of mind whilst they are at work. Paediatric First Aid, NCFE CACHE LEVEL 3, Smile award, safeguarding Children, and EYFS. i am flexible.Currently I have a Full-time vacancy 8-6 Monday to Saturday and night care for those people doing night shift or people having night out available. Below are the latest reviews for limar. Please note that reviews represent the subjective opinions of other Childcare.co.uk users and not of Childcare.co.uk. Parents must carry out their own checks and references on childcare providers to ensure that they are completely happy before enaging in the use of their services. I met with auntie Yemi (Limar Childcare) in April 2018 when I was in urgent need for childcare for my sons. As a mum, I was very mindful of leaving my children in the care of anyone without recommendations from other parents. However, it's a different story with Limar and I can confidently say, it has been home away from home for my sons. It's very obvious that Auntie Yemi enjoys and loves being around children. She's ever so cheerful which in turn radiates all around the children in her care. Often times, my children are never ready to come home whenever it's pick up time and most parents like myself will have to wait couple of minutes for the children to get ready... I will 100% recommend Limar to any parent who is still uncertain about using childminding services. She's simply the best! I am very happy with limar child care and yemi (limar child care) is a lovely person to keep my two kids with her. My both kids would love to go her. The childcare which can be referred to the parents who are looking for a child minders. Wow! Thank you very much for this lovely review about me. I met Yemi of Limar Childcare when I was looking for emergency after school child care for my son who just started "big school". Within 24 hours in her care and my son had adjusted with no worries or concern. Each morning, he has to mention seeing "Aunty" (her new name) and he will not enter the school until he gives her a hug. This is not forced or coerced because the moment he sees her car driving towards the school, the rate at which he gets excited seeing her is beyond me. I keep telling her I don't understand this love he has for her. I am truly happy and content that I found someone I am at peace with and know my son is in good hands when I'm not there. I'll recommend Limar Childcare anyday! THANK YOU Yemi and keep being amazing!!! 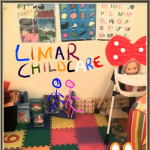 Limar childcare has been outstanding..I met (Yemi) of Limarchildcare and withing 5mins..i knew i was making the right decision for my son and i have never had any regrets. Limar childcare provides a very good and child friendly child care services. Yemi, who runs the child care is very professional and playful person. My daughter is only 16months old and spends the whole day there and she is very happy. I am extremely satisfied and relieved that I found Limar childcare for my daughter. Wow! Thank you so much for your lovely review about me☺👍.